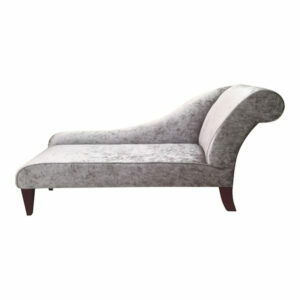 Our range of chaise longue for sale embodies charm, sophistication and relaxation. 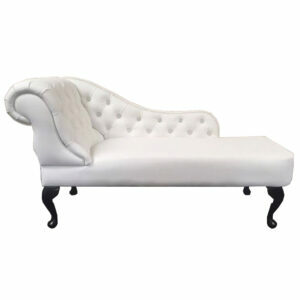 Given a balanced space, it easily blends with other furniture lending a touch of elegance to any home. 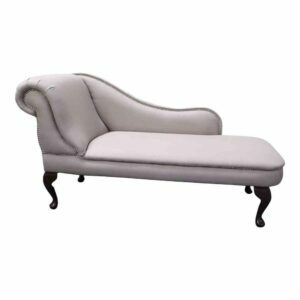 As the UK’s Leading Chaise Longue Specialist, Simply Chaise stock one of the biggest collections of Chaise Longue around. With such a large range of beautifully crafted chaise, there’s something for everyone’s taste and style. 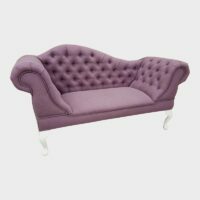 If you’re looking for a statement piece to stand tall or you wanting to add a touch of elegance to a room or even a contemporary feel, then look no further. 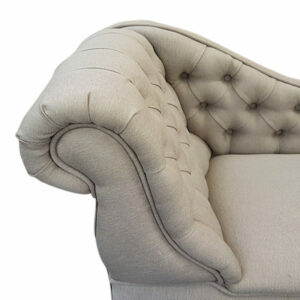 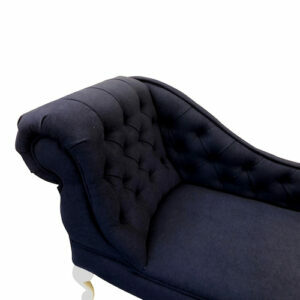 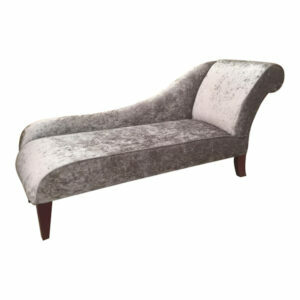 Our Chaise Longue are finished to the highest standard using quality fabric and materials. 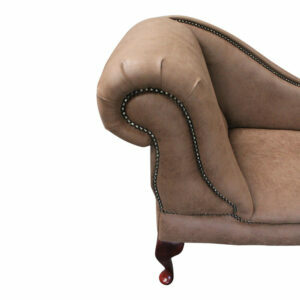 Made by highly skilled, experienced craftsmen and woman right here in Great Britain. 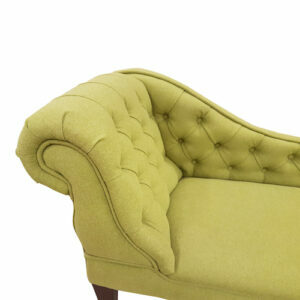 We want to ensure quality and comfort on every chaise we deliver. 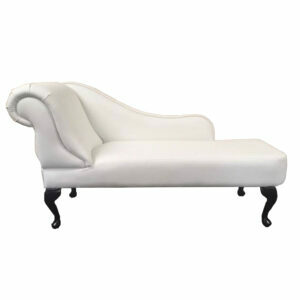 At Simply Chaise, we make sure you get what you want. Rather than simply choosing premade chase lounges for sale, you can choose to create timeless styles that can be matched with any décor or trendy pieces that can be upgraded later on. 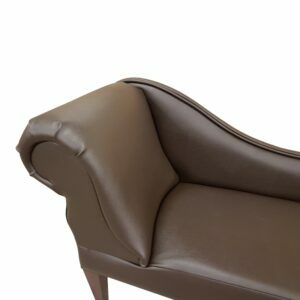 Every chaise in our collection is customisable so you can choose from four different leg styles, five different leg colours and optional bolster cushions finished in a matching fabric. 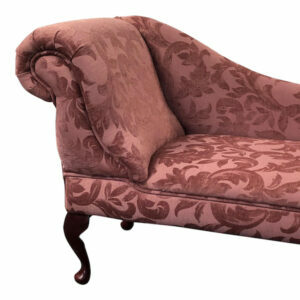 You can experiment with colours, textures and patterns to create the perfect chaise longue for your home. 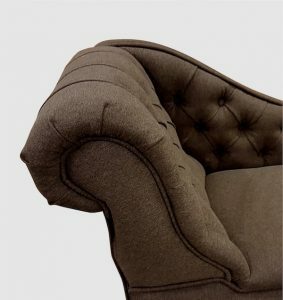 Upon confirmation of your order, we endeavour to handcraft and deliver your orders within 3 – 4 weeks. 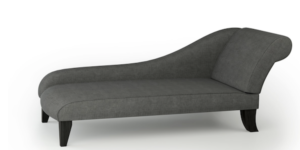 For your peace of mind, we use a courier with proven reliability and have a tracking system allowing you to see the status of your purchase. 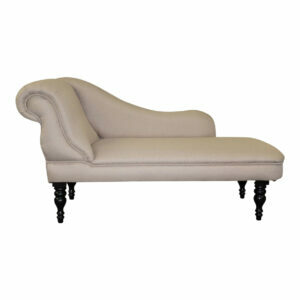 Simply key in your order ID and track the location of your chaise lounge. 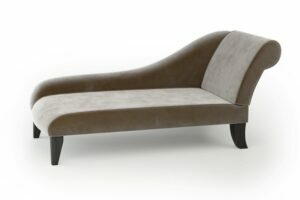 So what are you waiting for, take a look at our amazing chaise lounge collection and buy a handcrafted chaise lounge today! 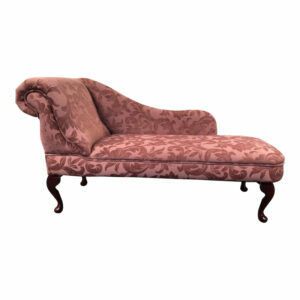 A Traditional Chaise, finished in high quality Dusky Pink damask Fabric, standing on your choice of leg. 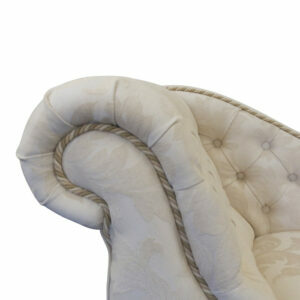 A Traditional Chaise, finished in high quality Mulberry linen Fabric, standing on your choice of leg. Finished in Charcoal Grey linen fabric with contrasting cream buttons and piped border, standing proud on Queen Anne style feet this Chaise Longue will complete and complement any sophisticated room. 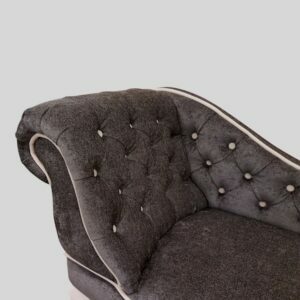 Finished in charcoal soft chenille fabric with contrasting Beige buttons and piped border, standing proud on Queen Anne style feet this Chaise Longue will complete and complement any sophisticated room. 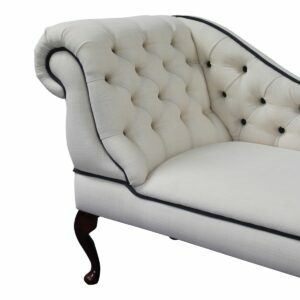 Finished in cream linen fabric with contrasting charcoal grey buttons and piped border, standing proud on Queen Anne style feet this Chaise Longue will complete and complement any sophisticated room. 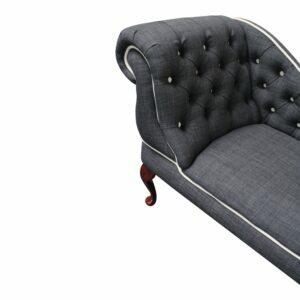 Finished in Steel Grey linen fabric with contrasting charcoal linen buttons and piped border, standing proud on Queen Anne style feet this Chaise Longue will complete and complement any sophisticated room. Finished in Light Blue lustre chenille Fabric, standing proud on Queen Anne style feet this Chaise Longue will complete and complement any sophisticated room. 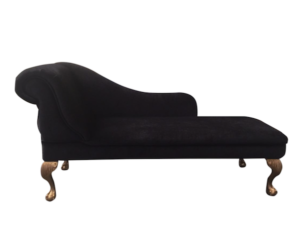 Finished in high quality superb black faux leather, standing proud on Queen Anne style feet this Chaise Longue will complete and complement any sophisticated room. 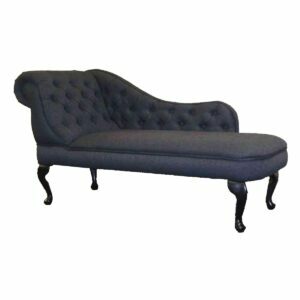 Finished in Superb Quality Dark Blue Leaf Damask Fabric, standing proud on Queen Anne style feet this Chaise Longue will complete and complement any sophisticated room. 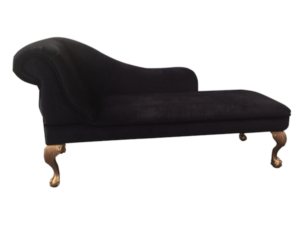 Finished in high quality superb black crushed velvet fabric, standing proud on Queen Anne style feet this Chaise Longue will complete and complement any sophisticated room. 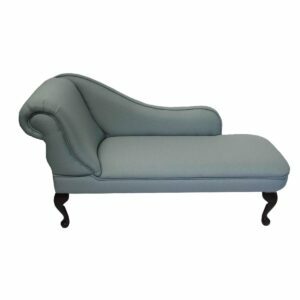 Finished in Light Duck Egg Blue Linen Fabric, standing proud on Queen Anne style feet this Chaise Longue will complete and complement any sophisticated room. A Traditional Chaise, finished in high quality Caramel linen Fabric, standing on your choice of leg. Deluxe Chaise Longue in Chocolate Faux Leather - with brassed studded border, standing proud on Queen Anne style feet this Chaise Longue will complete and complement any sophisticated room. A Traditional Chaise, finished in high quality Chocolate faux wool Fabric, standing on your choice of leg. 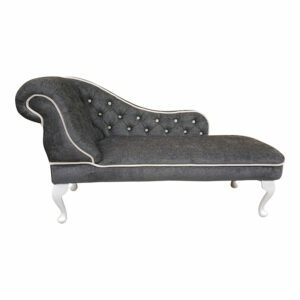 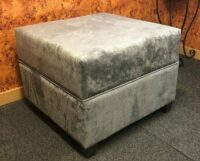 A Traditional Chaise, finished in high quality Charcoal faux suede Fabric, standing on your choice of leg. 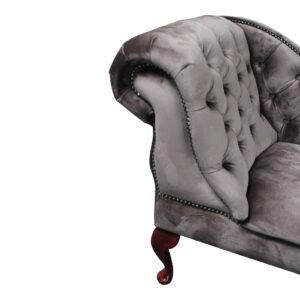 Finished in Superb QualityBeige chenille Fabric, standing proud on Queen Anne style feet this Chaise Longue will complete and complement any sophisticated room. 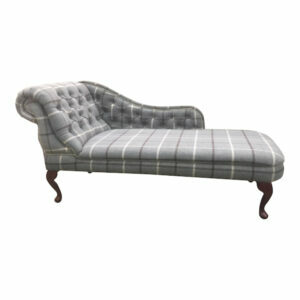 Finished in Superb Quality Grey Check Tartan Type Fabric, standing proud on Queen Anne style feet this Chaise Longue will complete and complement any sophisticated room. 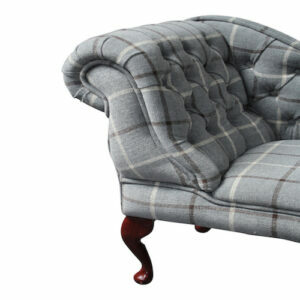 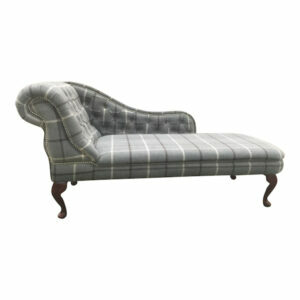 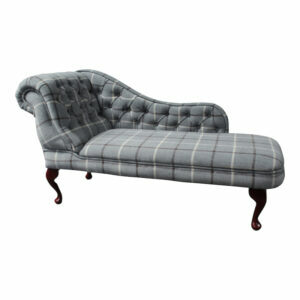 Finished in a Superb Quality Grey/Green Tartan Fabric,this chaise is extra long in length. Standing proud on your choice of feet this Chaise Longue will complete and complement any sophisticated room. 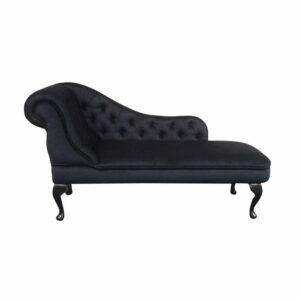 Finished in a Superb Quality Black Soft faux velvet Fabric, this chaise is extra long in length. 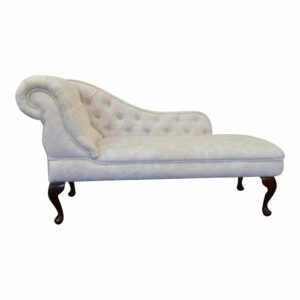 Standing proud on Grand Gold feet this Chaise Longue will complete and complement any sophisticated room. 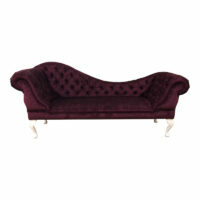 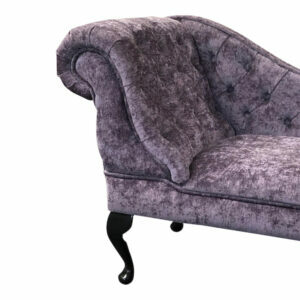 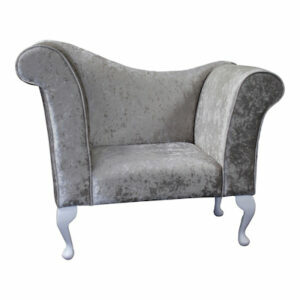 A Traditional Chaise, finished in high quality Heather lustre chenille Fabric, standing on your choice of leg. Finished in Mink soft velvet, standing proud on Queen Anne style feet this Chaise Longue will complete and complement any sophisticated room. 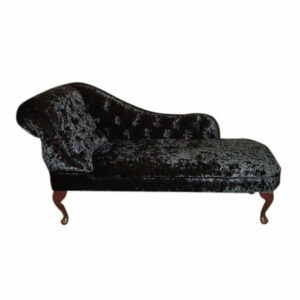 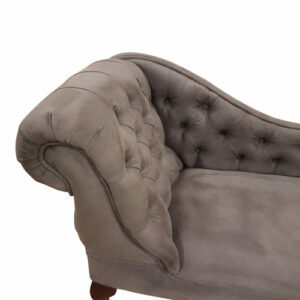 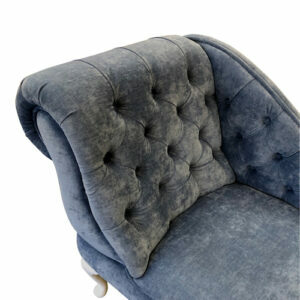 Finished in a Superb Quality Mink Velvet Fabric,this chaise is extra long in length. 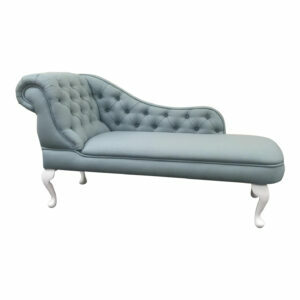 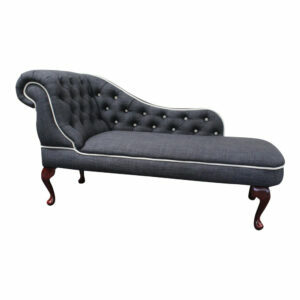 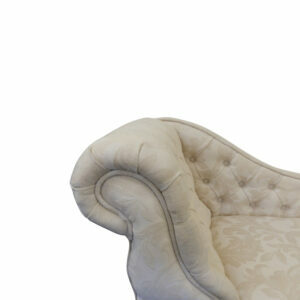 Standing proud on Queen Anne style feet this Chaise Longue will complete and complement any sophisticated room. A Traditional Chaise, finished in high quality Brown faux leather Fabric, standing on your choice of leg. 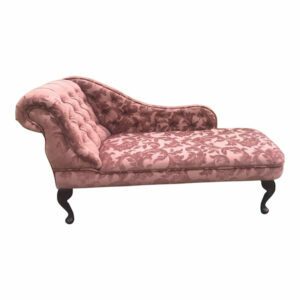 Finished in a luxurious and eye catching Dusky pink chenille, standing proud on Queen Anne style feet this Chaise Longue will complete and complement any sophisticated room. Finished in Superb Quality Almond Linen, standing proud on your choice of feet with deep padding, this Chaise Longue will complete and complement any sophisticated room. Finished in Superb Quality Charcoal Linen, standing proud on your choice of feet with deep padding, this Chaise Longue will complete and complement any sophisticated room. Finished in a luxurious Cream and Ivory damask, standing proud on Queen Anne style feet this Chaise Longue will complete and complement any sophisticated room. A Traditional Chaise, finished in high quality Cream and Ivory damask Fabric, standing on round legs complete with brassed castors. 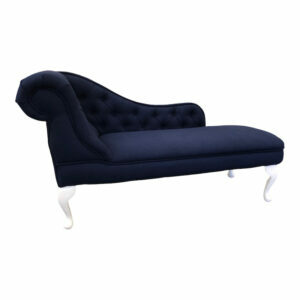 A Traditional Chaise, finished in high quality Ocean faux wool faux wool Fabric, standing on your choice of leg. Finished in Charcoal Linen Fabric, standing proud on Queen Anne style feet this Chaise Longue will complete and complement any sophisticated room. 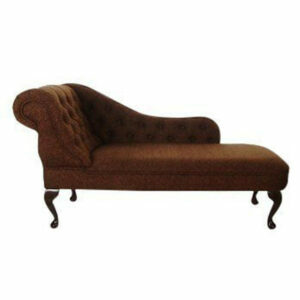 A Traditional Chaise, finished in high quality Brown linen Fabric, standing on your choice of leg. 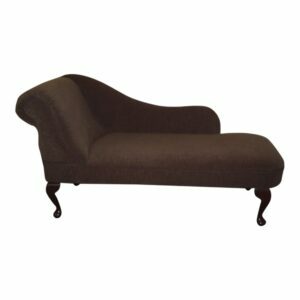 Finished in Luxurious Brown Faux wool fabric, standing proud on Queen Anne style feet this Chaise Longue will complete and complement any sophisticated room. 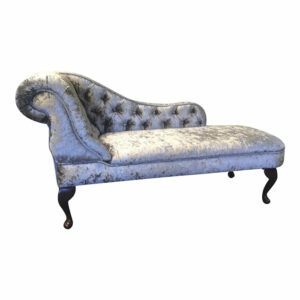 Finished in Silver Crushed Velvet Fabric, standing proud on Queen Anne style feet this Chaise Longue will complete and complement any sophisticated room. Finished in Silver Crushed Velvet, standing proud on Queen Anne style feet this Chaise Longue will complete and complement any sophisticated room. Finished in Silver Crushed Velvet detailed with a chrome studded border, standing proud on your choice of feet, this Chaise Longue will complete and complement any sophisticated room. Finished in Luxurious Scarlet dark red Damask Fabric, standing proud on Queen Anne style feet this Chaise Longue will complete and complement any sophisticated room. A Traditional Chaise, finished in high quality Tapestry Fabric, standing on round legs complete with brassed castors. A Traditional Chaise, finished in high quality Tapestry Fabric, standing on your choice of leg, with a deeply buttoned arm. Traditional Chaise Longue in Light Duck Egg Blue Linen Fabric (slightly longer than our standard chaise at 150cm overall), standing proud on Queen Anne style feet this Chaise Longue will complete and complement any sophisticated room. Finished in Superb Quality Willow Green Chenille Fabric, standing proud on Queen Anne style feet this Chaise Longue will complete and complement any sophisticated room. 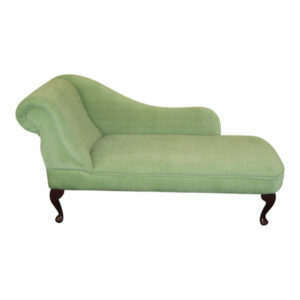 Finished in Superb Quality Green Chenille fabric, standing proud on Queen Anne style feet with buttons , this Chaise Longue will complete and complement any sophisticated room.